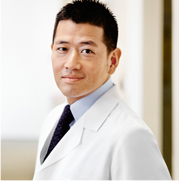 Dr. Hiroshi Hinenoya received his DDS degree from New York University College of Dentistry in 1995, where he participated in the Advanced Standing Program for foreign dentists. Prior to moving to the United States, Dr. Hinenoya practiced dentistry in his native Japan. He graduated from Osaka Dental University in 1989. Thereafter, he received advanced training in Endodontics at the same institution. He then practiced for several years in Kyoto, Japan, before his emigration to the United States. Before moving to Boston, Dr. Hinenoya spent five years practicing General Dentistry in Belleville, New Jersey. Dr. Hinenoya is skilled in all facets of General Dentistry, and he has advanced training in Oral Surgery and Endodontics and is certified in Invisaging Orthodontics. He has been a full-time associate at Osorio Dental Group since 1999. Dr. Hinenoya is an active member of the American Dental Association and American Academy of General Dentistry.